My job-savvy cousin, Ray, surprised our families with a mega announcement: he had gotten married at a garden getaway earlier this month and we were invited to celebrate their joyous union at a lavish dinner! 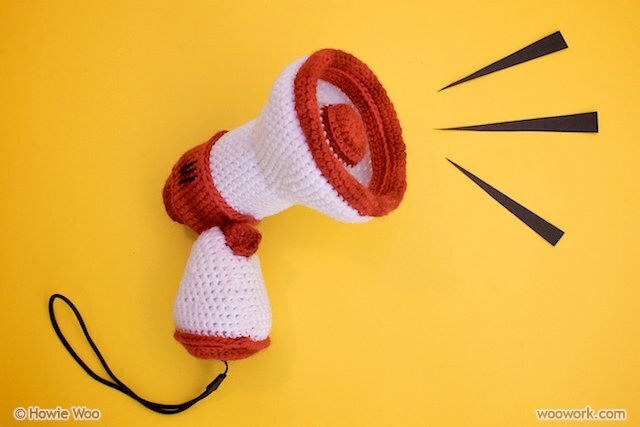 A crocheted bride & groom might have been a more traditional wedding gift, but a megaphone is fitting for a mega announcement, isn't it? Here are the happy newlyweds. With baby megaphone. 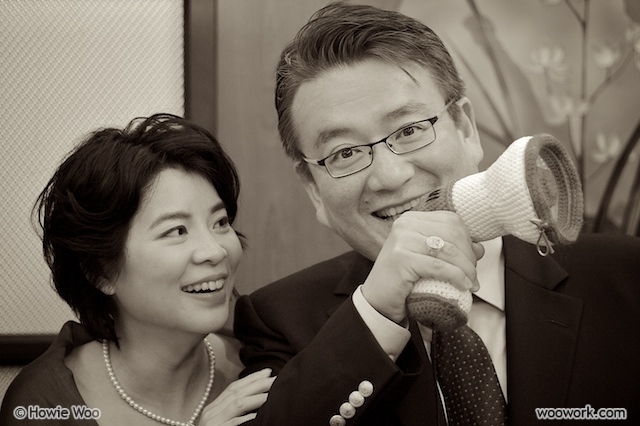 Congratulations, Ray & Joanne! You make a MEGAdorable new couple! Very cool & Congrats to the lovely couple !! Very cute. Will come in handy when they need to yell at each other from each end of the house oneday ("breakfast in bed please"). Hows the pattern writing going? Alisha: I passed your congrats to Ray, thank you! Wow, this is a mega awesome wedding gift!! Congrats to the lovely couple!! !